Crash Bandicoot: The Wrath of Cortex (aka Crash Bandicoot 4: Sakuretsu! Majin Power in Japan) is the sixth installment in the Crash video game series. It is the first platform game in the series not to be developed by Naughty Dog and the fourth game in the main series of the franchise. The story centers on the appearance of a new superweapon created by the main antagonist of the series, Doctor Neo Cortex, along with a group of destructive masks known as the Elementals. 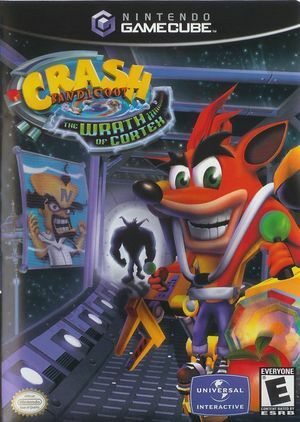 Crash Bandicoot and his sister Coco must travel the world and gather special Crystals that will return the Elementals to a hibernational state and defeat Cortex's new superweapon, a genetically-advanced bandicoot named Crunch Bandicoot. The graph below charts the compatibility with Crash Bandicoot: The Wrath of Cortex since Dolphin's 2.0 release, listing revisions only where a compatibility change occurred. Crash Bandicoot The Wrath of Cortex Chapter 1 with Roxxi! This page was last edited on 15 October 2018, at 05:43.